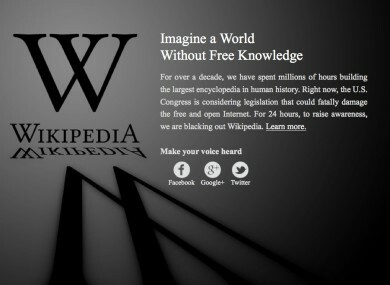 You have probably seen the blacking out of Wikipedia and other sites on the internet this week and wonder what it is all about. Many of you may be wondering what everyone is objecting to, what SOPA is and what has this got to do with Ireland. This new proposed regulation if passed will affect how you use the internet and the following articles are included to highlight what this could mean and to encourage classroom debate and discussion. Click the links to further your knowledge below. Here are thoughts from one of the co-founders of Wikipedia, Jimmy Wales, who criticises the Sopa bill on CNN as the wrong way to stop internet piracy. Here is an interview with Alexis Ohanian , co-founder of Reddit who also shut down their website in protest to the bill.